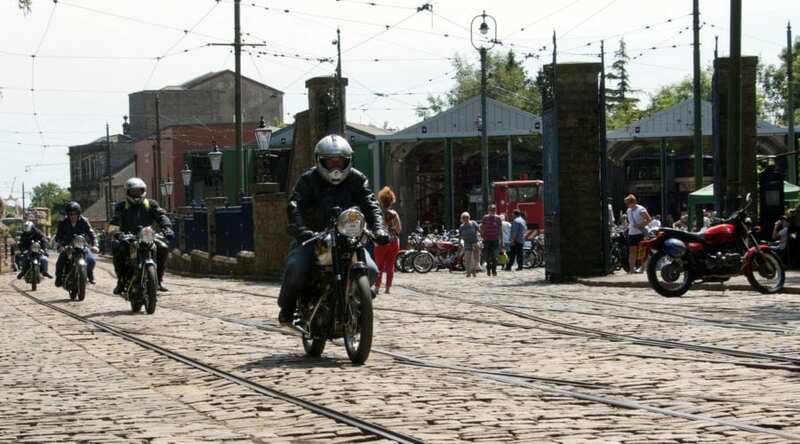 The second annual Classic Motorcycle Day at Crich Tramway Village was a scorching success – not just because the weather was wonderfully warm, but also thanks to the superb selection of classic bikes on display. 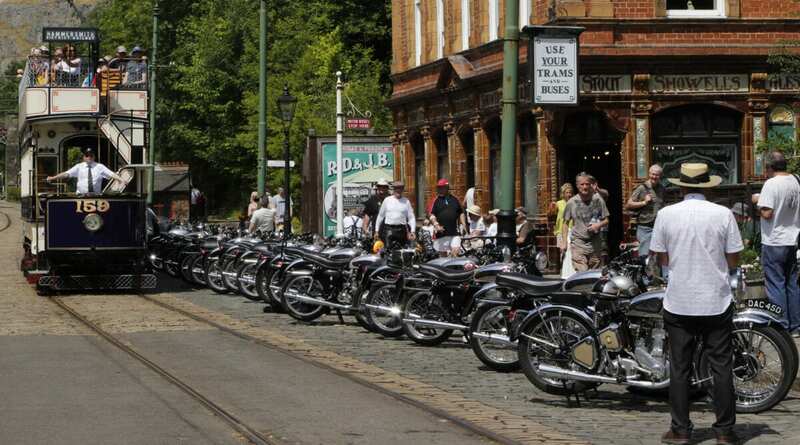 The Tramway Village in the Derwent Valley in Derbyshire offers visitors a unique opportunity to step back in time, take multiple rides on historic trams, stroll along the period street displays and browse the exhibits in the museum. 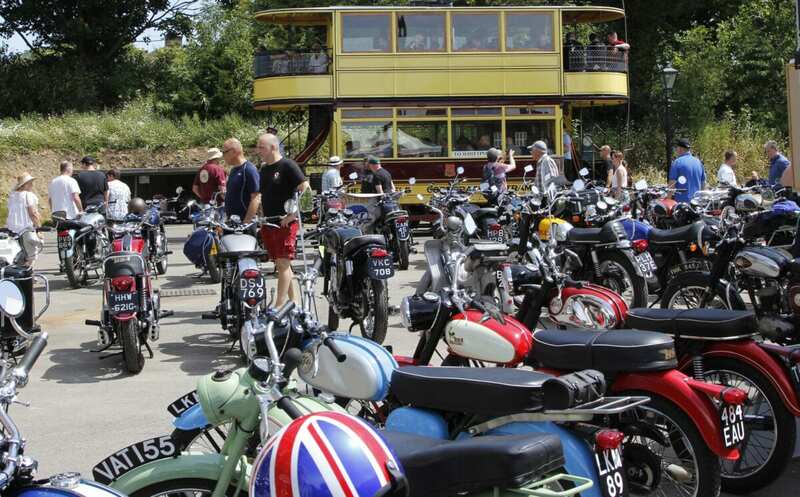 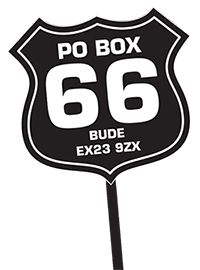 For a single day in July the vintage vehicles are joined by hundreds of old bikes and modern motorcycles, to create a truly memorable day out. 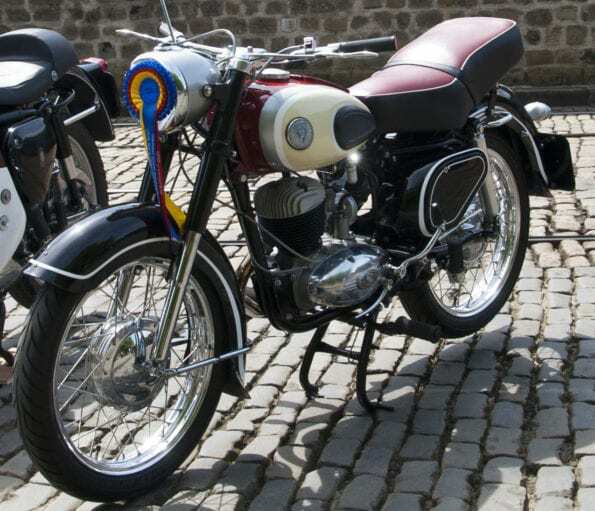 British bikes dominated the displays but a good contingent of Japanese and continental classics share the spotlight. 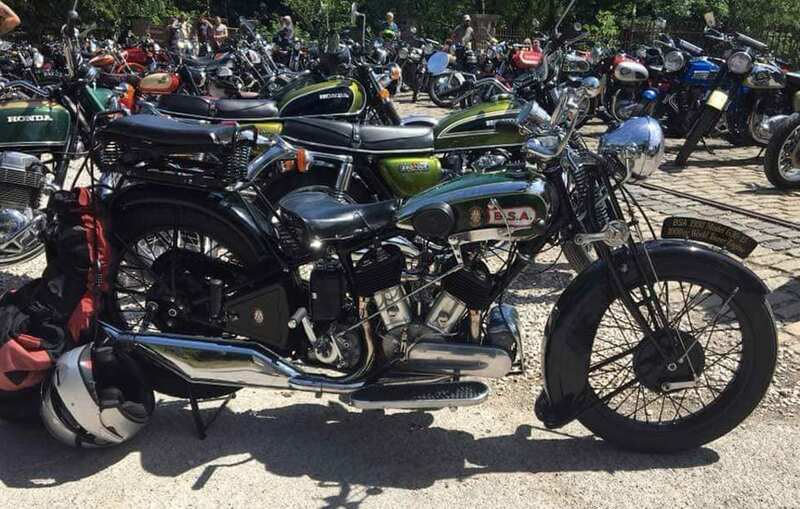 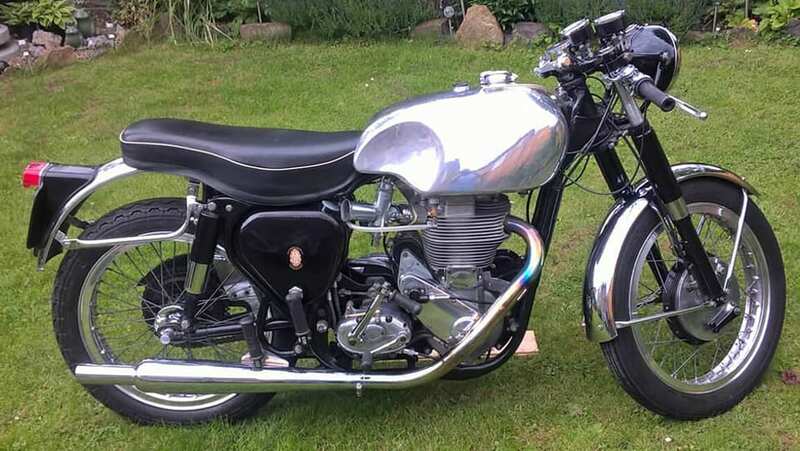 There were organised displays by the Vincent and BSA Gold Star owners, while the Notts and Derby branch of the VMCC fired up a range of historic racing motorcycles – what sweet music they made! 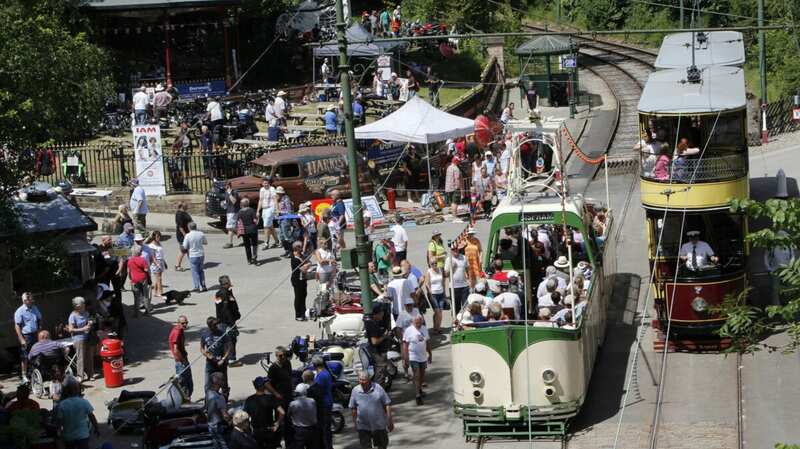 Then there were the winners, voted for by the public. 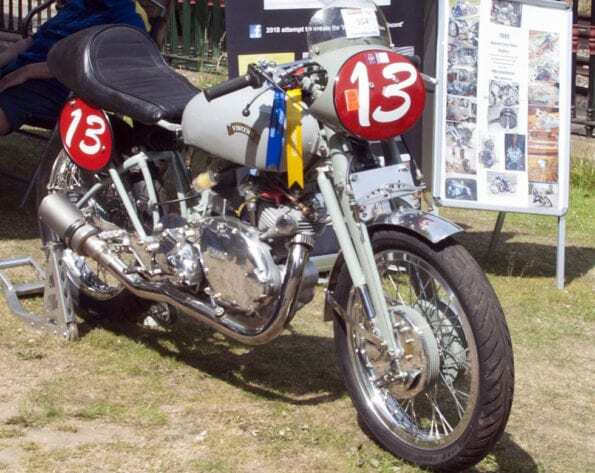 MikeH’s replica Vincent Grey Flash took top honours as Best In Show, with a Gold Star owned by Martin in second place. 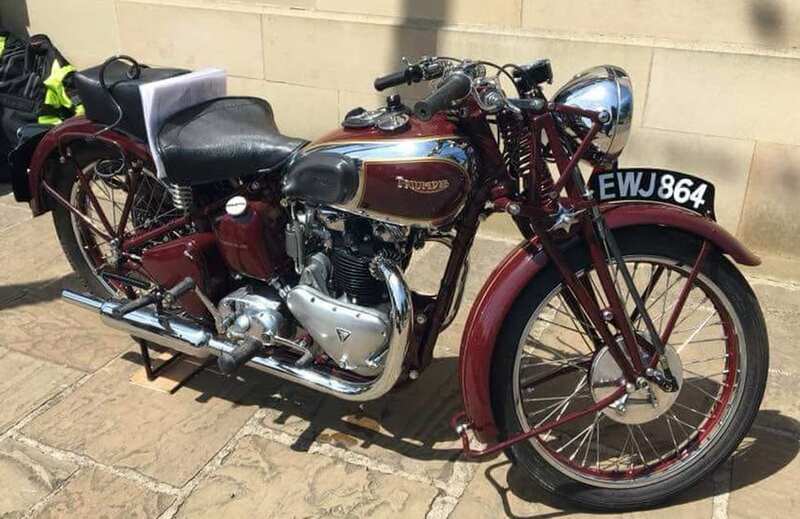 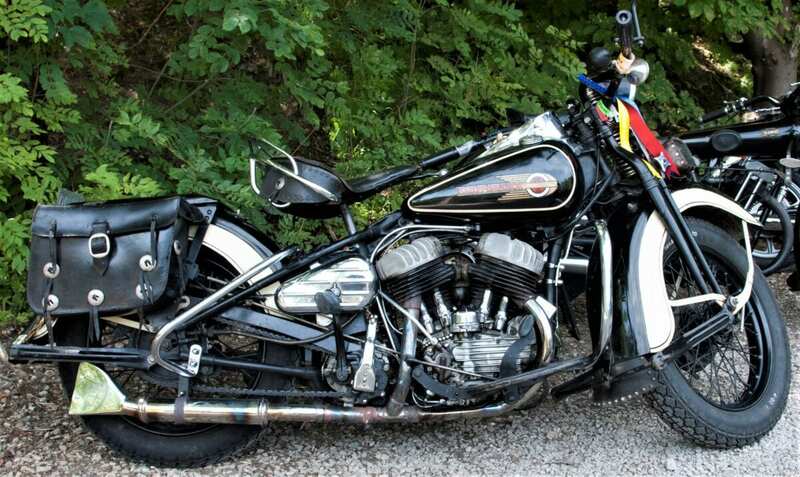 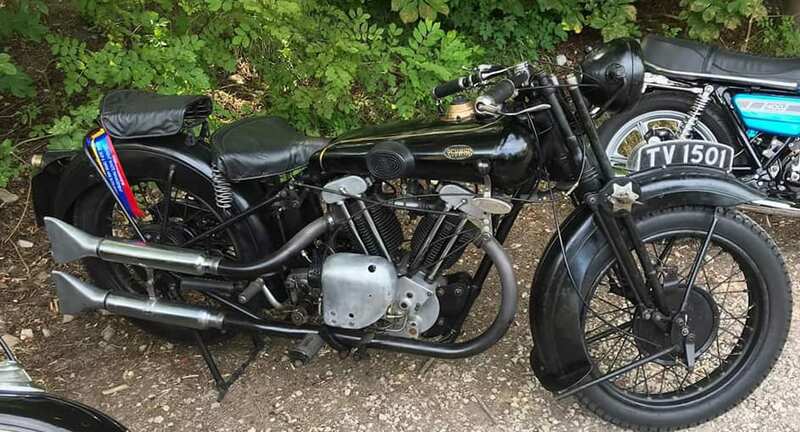 JohnC’s 1938 Triumph Speed Twin was judged to be the Best British Bike, while JohnB’s Brough Superior won the Best Original Bike award, and a pretty little Prior from Germany took second place in the Best International category.